When should I look for long-term care health insurance companies? Home / FAQ / When should I look for long-term care health insurance companies? If you think you might be interested in purchasing long-term care health insurance during your retirement years, you should begin looking for insurance companies in your late fifties or early sixties. Long-term care health insurance is still a young industry and evolves quite frequently. Beginning your investigation while you’re still relatively healthy will help you make more rational decisions than if you wait until you’re in your seventies and on the brink of needing care. By entering your zip code below you’ll have access to side by side comparisons of online health insurance rates. Long-term care health insurance is designed to pay for your care when you reach the point in your life where you can no longer care for yourself at home. That care could be as minor as a daily visiting nurse could or be as major as full-time residency in a nursing home or assisted living center. The key to purchasing the insurance is to balance your assets with how much you’re willing to pay, all in relation to your future qualifications for Medicaid. Does Medicaid help pay for long-term care? According to the Centers for Medicare and Medicaid Services, Medicaid is designed for individuals with limited means who cannot pay their medical bills. Even though Medicare is the primary health insurance for seniors, it does not pay for long-term care under most circumstances. 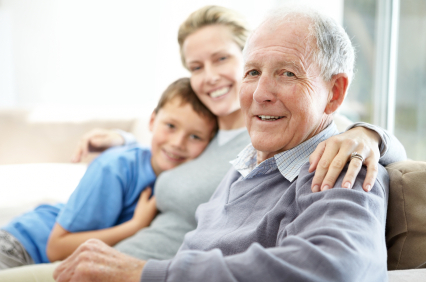 Therefore, a senior who cannot afford long-term care might be eligible for Medicaid if his total assets are low enough. This is why it’s essential when searching for long-term care health insurance to balance your insurance needs with your assets. If you were to purchase insurance in your 40s, your premiums would certainly be lower. However, you would have to carry the policy for 30-plus years in order for it to still be in effect when you need it. You might be better off waiting until your 60s, purchasing a 20-year policy, and then transferring your assets to your children during that time so that you’re eligible for Medicaid when the policy runs out. How much long-term care health insurance should I purchase? This is a tough question to answer, primarily because health care costs are going up by double digits every year. According to Elder Law Answers, the cost of nursing home care in 2011 could be as much as $300 per day. In home care is obviously less expensive, as is care at an assisted living facility. Regardless of the type of care needed, you should probably plan for the worst and assume you’ll need full-time nursing home care. Contact a few facilities in your area to find out what their annual costs are. Once you know that number, you can calculate the difference between your monthly income and your monthly expenses for health care. You’ll need enough insurance to cover the difference. If your purchase of long-term health care insurance is still some years off you might want to build in cost of living increases as well as an extra 10% to 15% to make up for the rising costs of health care. This won’t give you exact number, but we’ll give you a ballpark figure. Can my assets be sold to pay for long-term care? It is a common belief among many people that once you are eligible for Medicare or Medicaid the government can come in and take your assets to help pay for your care. According to the letter of a law that is technically not true. However, your assets do count against you in terms of whether not you qualify for Medicaid. The government cannot force you to sell your assets, but it can deny you coverage if your total assets are too high. It is for this purpose that financial experts recommend you purchase long-term care health insurancein your 50s or 60s and then spend the next 20 years divesting yourself of assets. That way, when your health insurance policy is no longer in force, your assets will not be so substantial as to prevent you from qualifying for Medicaid. Using a 65-year-old widower for example, he might purchase a 10-year policy with a goal of qualifying for Medicaid once the policy expires. During that time, he may transfer ownership of his house to one of his children who allow him to continue living there. He might also liquidate some securities and transfer those funds to children or grandchildren. Ten years down the road, he should have no tangible assets, which will easily allow him to qualify for Medicaid. If you’re interested in comparing free health insurance quotes just enter your zip code below.